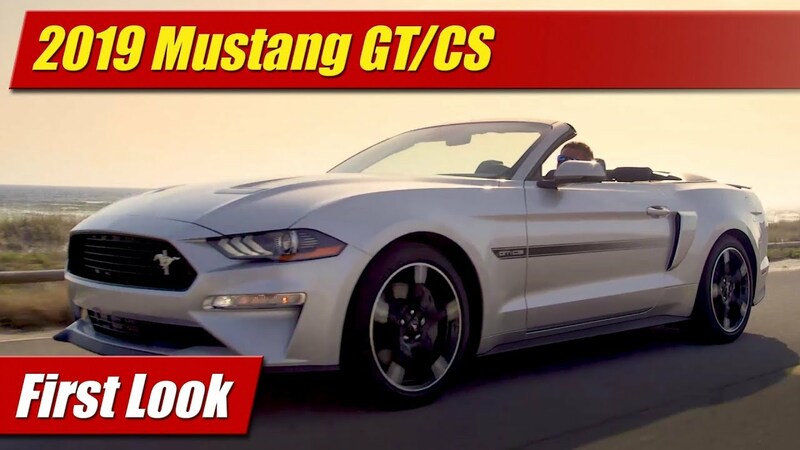 Ford gives us a closer look at the chassis, suspension and braking bits that make up their newest show pony, the 2015 Shelby GT350 and GT350R. As this is a track oriented horse, ultimate handling capability and hardware was the largest focus in really taking the Mustang’s S550 platform to the next level. Before stiffer springs and dampers, bigger brakes and wheels could be added, the underlying structure needed some beefing up. To wit, Ford added a redesigned aluminum front knuckle, hub and bearing assembly that’s not only stronger but lighter. Ultra stiff bushings replace the softer ones in control arms and sub-frames too better transmit road surface information. When it came to springs, they got stiffer as did the front and rear anti-roll bars. Notable is that one of the rear springs is counter-wound to assure symmetrical spring seating and better motion of the lower control arm. This single move Ford says required a unique control arm design. The Shelby GT350 also gets adjustable MagneRide dampers front and rear. Filled with a fluid infused with magnetic particles, it can change viscosity depending with a varied electrical current applied. This allows for manual control but also automatic damping control in milliseconds on the part of the computer system when set in auto mode. While Brembo Brakes on performance cars have become akin to fries with your burger these days, the ones on the GT350 are more than the norm. Here we have rather expensive two-piece rotors, rather large at 15.5” up front. Rear rotors are near 15” in size. Calipers are six-pistons up front and four-pistons at the rear. Putting all this uprated suspension and braking to work will be a new Michelin Pilot Super Sport tire specific to the Shelby GT350. The GT350R will get its own version of the Pilot Sport Cup 2. Light-weighting was also important with the GT350, which shaves pounds in places like the forged carbon fiber grille opening. Ford says it’s 24% lighter than its steel counterpart. Until Ford reveals the rest of the specifications for the new 2015 Shelby GT350 this is what we have to chew on for now. It shouldn’t be long as production is just around the corner.